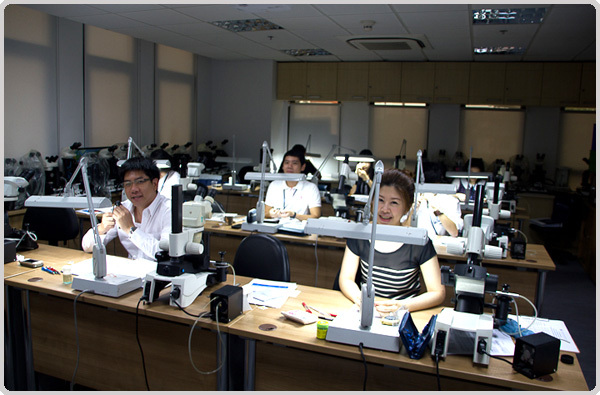 In collaboration with the HRD Institute of Gemmology (the educational department of the Antwerp Diamond High Council), GIT is proud to offer the HRD Certified Diamond Grading Course, a three-week class that combines theory with practice, where students learn how to grade diamonds by means of a microscope as well as a loupe. Our intention is to teach students how to fully grade a diamond and give them insights in the interpretation of diamond quality and the underlying techniques and science with respect to a diamond quality report. No previous gemological knowledge is required. Only an ability to read and write English.